NEW! 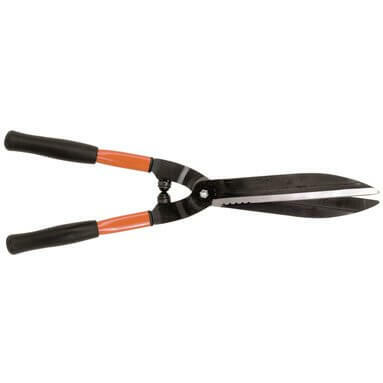 Bahco P51-SL Super Light Hedge Shears - 570mm Length. Bahco professional super light shears for intensive use in parks, vineyards and nurseries. Featuring a lightweight design that provides comfortable handling and a superior cutting performance. Extremely strong and strain resistant aluminium handles. Comfortable and robust steel handle. Easier cutting of thicker branches with the serrated section of the blade. Fully hardened and precisely ground blades provide continuous clean cuts. Rubber shock absorbers on handles for added comfort. Centre bolt locking system keeps blades perfectly aligned.